Figure 1: Celestial Attitude Determination System. Photo: © DMSS Group. 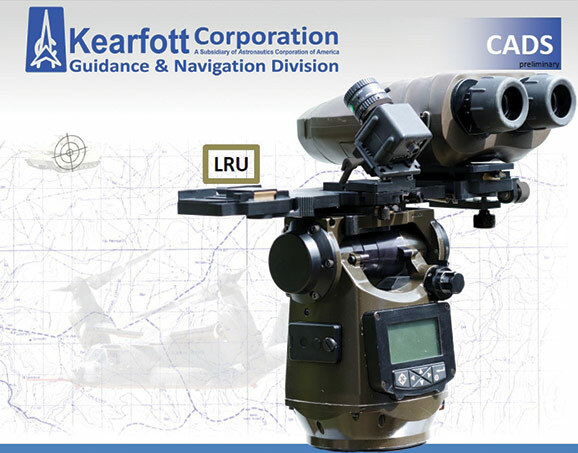 Kearfott’s DMSS Group, a subsidiary of Kearfott U.S.A., was founded in 2011 as an outcome of Giora Kutz’s 25 years’ experience in researching and developing innovative navigation, target acquisition and mobile centric-warfare systems. The reason for founding DMSS was Kearfott’s decision to harness & synergize Giora’s experience in the dismounted-soldier realms, with Kearfott’s own long-lasting expertise in highly accurate navigation and orientation systems. 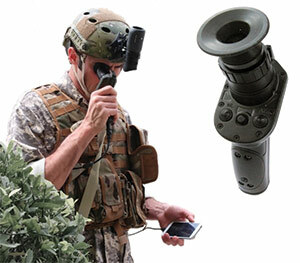 This gives DMSS Group an unparalleled variety of navigation and target acquisition solutions. The group’s personnel have multidisciplinary abilities, beginning from Special Forces commanders, users and instructors, in addition it possess a variety of relevant engineering personnel. The reason for developing such systems is motivated by the nature of today’s asymmetric warfare as seen in Iraq, Afghanistan and today on the ISIS (IS) front. All these create unique challenges which DMSS Group tries to address through its solutions and throughout ongoing dialogue with its customers. Figure 2: Target Acquisition Tactical Unit. Figure 3: Micro Target Acquisition Tactical Unit.Photo: © DMSS Group. a.	Navigation challenges in urban areas – Wars are fought and won today in complex urban environments. Ground force advancement requires ongoing, complex coordination with neighbouring forces. An error on the location of a neighbouring force may lead to devastating results. b. 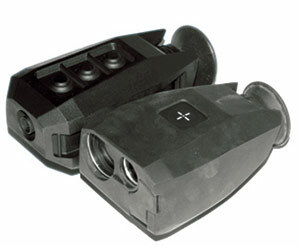 Simple, accurate sensor-to-shooter cycle closure – The accurate/ guided ammunition revolution, which has reached even the smallest militant groups – requires widely-available tactical and easy-to-use target acquisition & BDA systems. 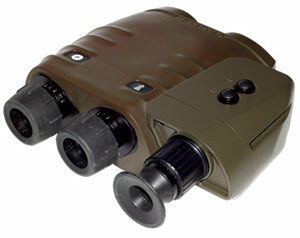 These dictate quick response, limited weight and power consumption loads and simplicity of use. DMSS Group has developed a target acquisition system uniquely to address these constraints. c.	“The last mile” connectivity & the interconnectivity challenges – Today, tactical battle formations are equipped with a wealth of cutting-edge devices (communication, observation, lethality-based and others). The dismounted soldier’s ability to become truly effective is highly dependent on one’s capability to become a dismounted information hub, or a system-of-systems, allowing the integration of as many devices as possible, while disseminating and receiving real-time inputs across the chain-of-command. An open dialogue with DMSS Group’s customers and with the support of its own Subject Matter Experts, has led to the creation of a variety of field-proven systems – successfully deployed in various NATO armies, the IDF (Israeli Defense Force) elite units and many Asian armies. As the group managing director, Giora Kutz has more than 50 years’ experience as a combat soldier, field commander, user and instructor of modern soldier technology systems; together with many years of experience as an entrepreneur and initiator of such systems. During this time he established two companies, specializing in innovative target acquisition solutions, observation and advanced soldier systems. Figure 4: Infantry Soldier Target Acquisition system.Photo: © DMSS Group. Figure 5: Near Eye Display. Photo: © DMSS Group. Target acquisition & observation devices: The CADS (Figure 1) which is a self-contained module including our Goniometer serves as F.O. precise Target Acquisition System. Our CADS Module can be integrated to any user’s Goniometer or any platform in need of precise azimuth, thus providing precise target coordinates. Also are included our TATU, Micro TATU and ISTA (Figures 2,3,4). 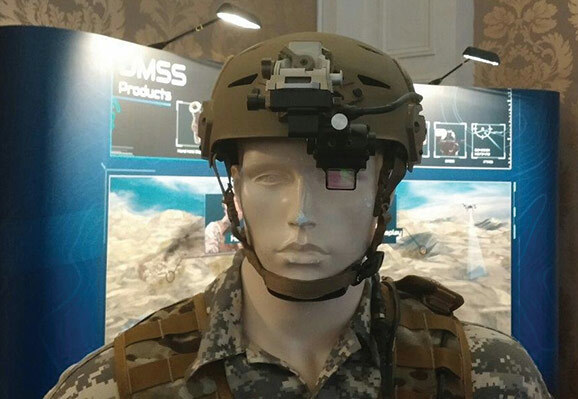 Near eye displays: Whether hand held or see-through helmet-mounted, our systems support rapid and stealth view & operation of various C4I and video feeds (Figures 5 and 6). North finding solutions: Used by ground, marine and aerial platforms, our systems provide highly-accurate, intuitive & automated north-finding solutions, enhancing existing and new platforms alike. 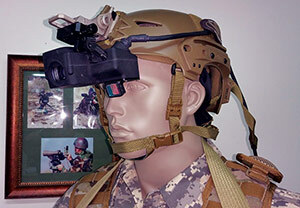 Figure 6: See Through – Helmet Head Up Display. Photo: © DMSS Group.